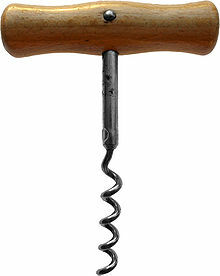 A corkscrew is a kitchen tool for drawing corks from wine bottles. 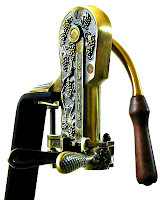 Generally, a corkscrew consists of a pointed metallic helix (often called the "worm") attached to a handle. 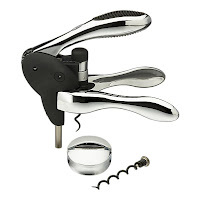 The user grips the handle and screws the metal point into the cork, until the helix is firmly embedded, then a vertical pull on the corkscrew extracts the cork from the bottle. 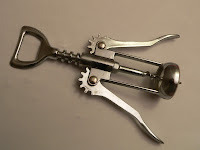 Corkscrews are necessary because corks themselves, being small and smooth, are difficult to grip and remove, particularly when inserted fully into an inflexible glass bottle. The handle of the corkscrew, once upon a time was often a horizontal bar of wood attached to the screw, allows for a commanding grip to ease removal of the cork. 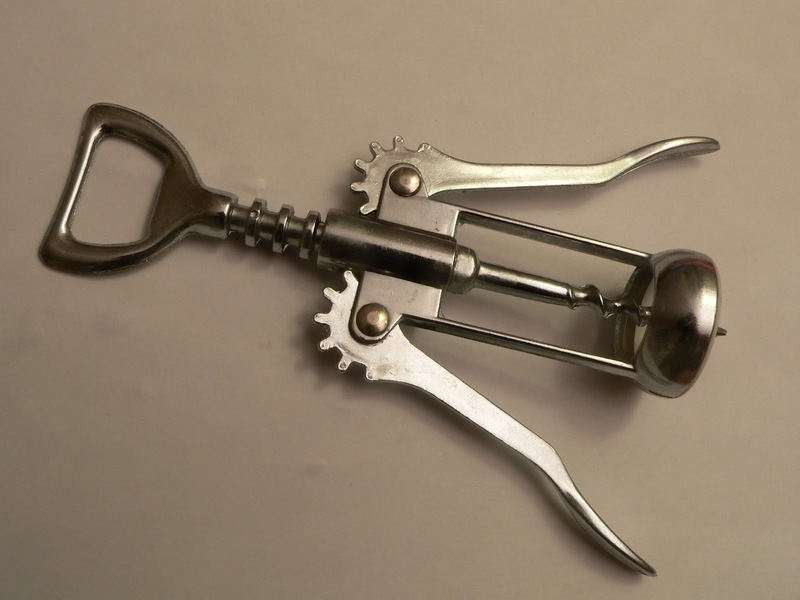 Corkscrew handles may incorporate levers that further increase the amount of force that can be applied outwards upon the cork. 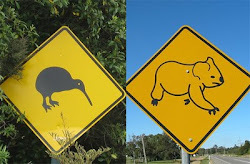 Koala has his personal favourite home version which an Estate style and quite posh. Kiwi is more into the modern Rabbit style, sleek and effective. Whatever you choose to open your bottle, and there are dozens of choices, just enjoy your wine!